Most golfers take pride in the way that they play the game. If you are an avid golfer with children, why not introduce your kids to the game of golf? You may be surprised about the passion that they could eventually have for the game. You could start by showing your kids the fundamental principles of a golf game. Let’s say you took your four year old with you to a golf course, showing him or her of ways to putt the golf ball and how to maintain the right grip and stance before hitting the golf gall. The child will have a chance to see how the game is played. Before you know it, your child will want to have a special golf training ball to perfect his or her game. The Rope It Golf training balls are ideal for children and adults that are just learning to play the game. This is the perfect way to bond with your child. 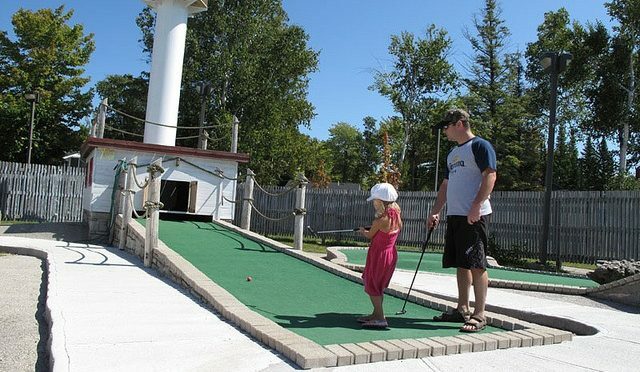 In fact, the child will love the Rope It Golf training balls. Why? Well, unlike the regular golf balls, these training balls when hit do not go very far. Your child won’t have to run after a ball to find it. Your child could practice in the backyard when it is not possible to go to the golf range for a practice session. The Rope It Golf training balls will make the game enjoyable. If you were to use the regular golf balls, your child may not enjoy it so much since running to pick up balls is not the perfect scenario. You want to give your child the freedom of hitting and not having to be concerned with where the ball went. The balls are on a rope so when hit, they only go a few feet away from the hitter. Your child will definitely think this is really cool! Because kids will usually be easily bored, what better gift to give your child than the Rope It Golf training balls. You will infect enthusiasm in the child’s golf game. Swinging the golf club will be easier with these training balls. When your child hits the ball and continues to improve the golf swing, you can reward your child, keeping their spirits up for another round of golf. Even if your child does not meet your expectation right away, give the child the Rope It Golf training balls to continue improving their golf game.